This is a subscription product — $44 joining fee and $17 per month thereafter. 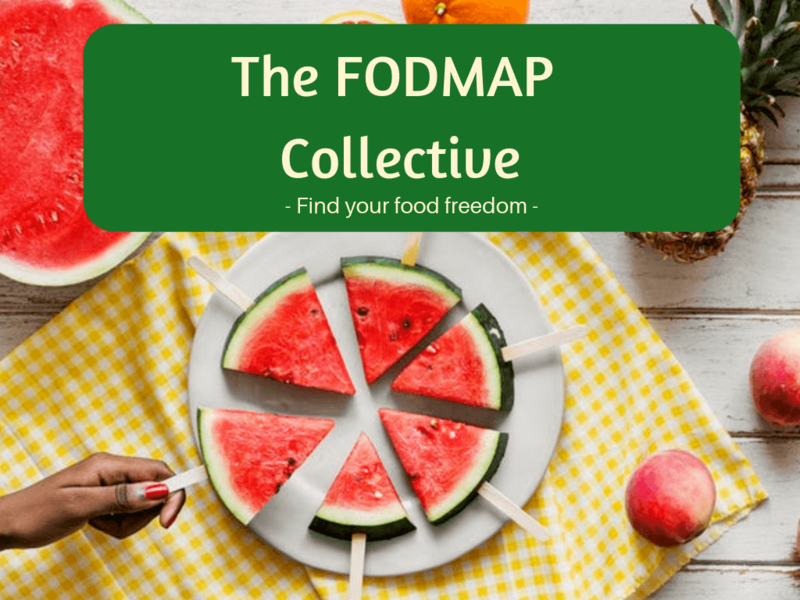 ​​FODMAP expert dietitians and the support of a group to guide you through your FODMAP journey. Join us for weekly live Facebook live videos, recipes, challenge schedules and more! The Challenge Phase of the low FODMAP diet is the most important part of managing IBS symptoms and improving quality of life. This ebook will guide you through challenges and teach you how to modify them to suit your individual needs. Learn how to challenge FODMAPs so that you be in charge of your symptoms instead of them being in charge of you. Are you just starting a FODMAP diet & not sure what to eat? Have you been doing FODMAP for a while but not sure if you’re doing it right? Are you a FODMAP pro, but lacking the inspiration for new meals? Downloadable FODMAP Friendly Shopping list is perfect for knowing what you can eat during the elimination or challenge phase of the low FODMAP Diet. Perfect for your own use or for friends and family so that they know what they can feed you. This Food & Symptom tracker is designed to help you keep a record of you food, your symptoms and other lifestyle factors that can influence your IBS. By keeping a journal, you are able to identify patterns and triggers for your IBS, giving you the information needed to manage your symptoms. Over 35 printable pdf documents that you can use to guide your patients through all pages of the low FODMAP diet. As dietitians who specialise in gastrointestinal nutrition, we know how challenging it can be to help clients navigate the Low FODMAP diet. We all want to provide accurate, practical and up-to-date information, in line with current research in FODMAPs. Overwhelmingly, feedback from our lectures and webinars about teaching the Low FODMAP diet, told us what dietitians really wanted: Hands on tools and ready to print FODMAP information sheets for the various stages of the diet. So that’s what we’ve created! 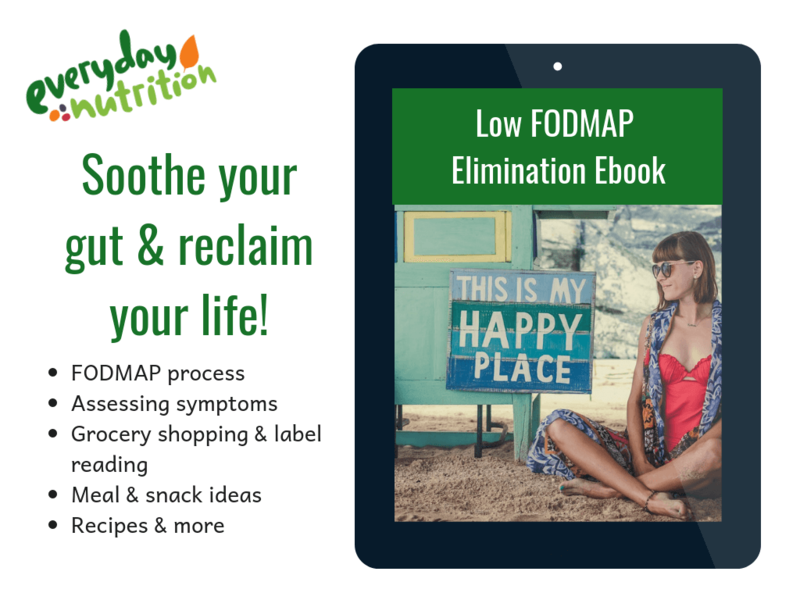 The Everyday Nutrition Low FODMAP Resource Pack is a comprehensive downloadable briefcase to use with your clients through their FODMAP journey. It contains over 30 resources arranged into three broad phases of the diet.